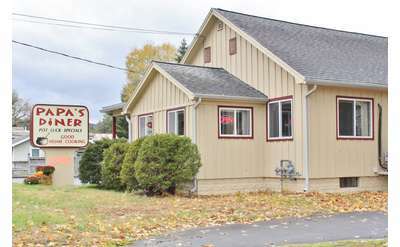 Enjoy breakfast lunch, or dinner at a Glens Falls diner. Find local diners from the list below. Just off Exit 18, The Northway Diner has all of your favorite diner food including omelets, grilled sandwiches oozing with cheese and hot dogs piled high with meat sauce. Take a seat on a classic red stool and enjoy breakfast that's served all day!